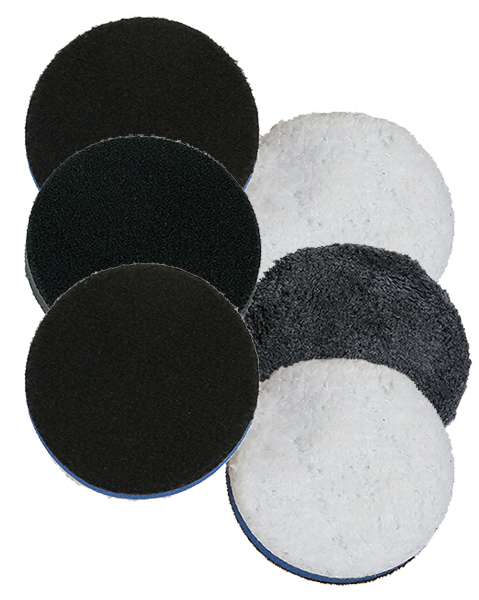 Lake Country 6.25� Microfiber Pad 6 Pack Mix & Match. The New Lake Country Microfiber Cutting Pad uses a unique material to provide industry leading cutting capabilities, while also finishing at the same time. Microfiber fibers mat down less quickly which results in reduced pad temperatures. The Lake Country Microfiber Cutting Pad Foam interface design offers superior durability and performance on dual action orbital polishers. Foam interface offers a perfect thickness for balanced and smooth operation. Consistent results in high temperature environments as well. The New Lake Country Microfiber Polishing Pad revolutionizes the microfiber pad world due to its amazing finishing ability. This pad provides a micro-mar or haze free finish on all dark colors including black, an industry first. The Lake Country Microfiber Polishing Pad has a special blend of soft material to provide enough cutting power, but flawless finish. Soft black foam interface offers a durable yet smooth user experience for the operator and perfect rotation on contoured panels. Lake Country 6 1/4" One Step Light Cutting Microfiber Pads are perfect for limitless light cutting as well as final polishing applications and falls between cutting and polishing for pad aggressiveness levels. The Lake Country 6.25" One Step Light Cutting Microfiber Pad is engineered of a longer plush microfiber fiber blend for light correction such as swirl mark removal followed by fine polishing abilities for phenomenal final finishing. The Lake Country One Step Light Cutting Microfiber Pad is more resistant to matting up during use for less cleaning and longer use making it ideal for enthusiasts as well as high volume paint and body shops, detail shops and car dealerships. The orange medium density foam interface supports the microfiber of the Lake Country One Step Light Cutting Microfiber Pad for durability and consistent performance. 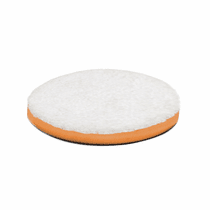 Reach for a fresh clean Lake Country 6.25" One Step Light Cutting Microfiber Pad for each time you change to another type of polish as to not mix polishes.